The Wesham 10K event saw 115 entrants lace up their trainers in aid of five-year-old Theo Power, who is suffering from aggressive childhood cancer Neuroblastoma. Their generous efforts have raised around £3,100 towards Theo’s fund, with more events planned over the coming weeks. The 10K race was organised by Blackburn Road Runners members Maggie Ainslie and Joanne Bingham, who are friends with Theo’s grandparents Michelle and Graham Jordan. “The event was a roaring success – despite the weather! “At one point early on in the race they had to run through a very large 10 metre-long shin-deep puddle, which added an obstacle course dimension to the race. “In total there were 115 runners, with 127 fundraising t-shirts sold. 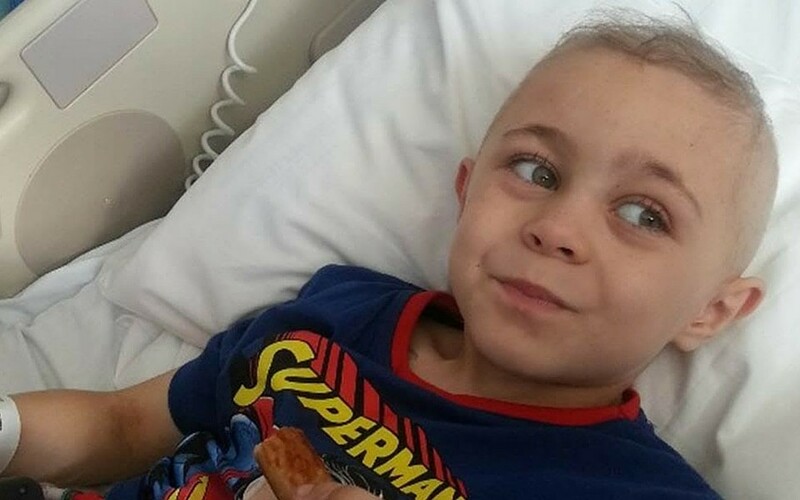 Theo was diagnosed with Neuroblastoma in July and his condition is so advanced his family are desperate to take him overseas for specialist treatment. “We are very grateful and appreciate all the support they have had from family and friends since July. The next event organised by ‘Team Theo’ takes place at Cherry Tree Cricket Club on Monday, December 28. Anyone who wants to donate can do so online at https://www.gofundme.com/kn2czahg. Bryan Lee Builders, who have helped coordinate the fundraising efforts, are also selling Theo hoodies and wristbands to help raise more cash. For details contact Janet or Julie on (01254) 679881.